We give our top tips on making a memorable large dinner in central London, from itinerary to invites we cover it all. 1. How have you invited your guests to your dinner venue? Spend time thinking about the invitation. A personalised invitation through the post is always a winner (most miss the days of receiving post in central London!) or an interactive e-invitation that allows for social networking opportunities with large events, meaning the atmosphere for your dinner in London’s most central venue, starts long before your guests even step through our glamorous doors! Our experience shows us that guests are really hungry when they arrive from work and not very attentive, therefore we suggest your speaker is after dinner. Our experienced team can suggest the best timing for your dinner event to ensure that you remain organised. A central London location makes it convenient for all guests and being in walking distance from a tube station (or 3 in our case) is a definite winner and a sure way for guests to arrive on time and with ease. You don't want your guests to arrive flustered because of a difficult location as it sets a negative tone to the rest of the evening. Be adventurous with your pairing choices. A recent blind taste test showed British sparkling wines such as Nyetimber, a favourite supplier of ours, beat famous french champagnes such as Veuve Clicquot and Taittinger in a blind test. Try something new and surprise your dinner guests, our events team will be more than happy to share their recommendations. The best tip we can give a client is to pick your food based on who is attending and (sadly) not just what you like. Being a central London dinner venue, we have gained an understanding of what is right for every occasion, from large scale awards to private dinners, we have seen it all. 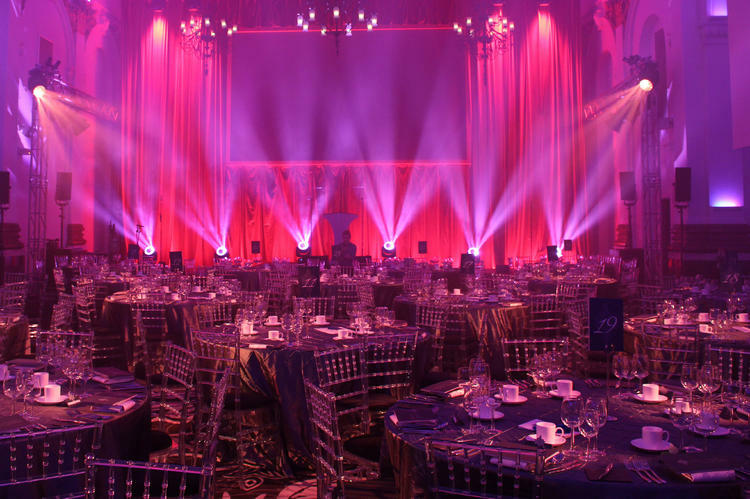 Ask one of our event managers for advice as your large dinner venue in central London.